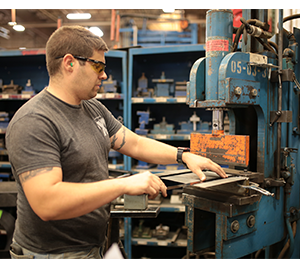 Our machining department can produce products to your specifications and also work closely with tool and die staff for your tooling needs. This department utilizes manual and CNC (Computer Numerical Control) equipment. Manual equipment includes machines such as lathes, manual mills, and surface grinders. 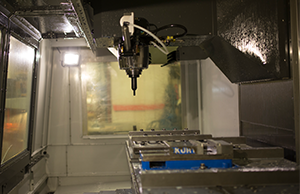 Our CNC machining capabilities can accommodate parts that require a bed size up to 32″x 64″. Our technicians are trained to program very complex parts including 3D profiling.